If you are music lover and wish to edit some of your favorite music tracks, then you’ve come to the right place. In this article we are going to introduce the top 5 best free audio editing apps for both Android and iPhone. Using these apps, you can easily edit your voice or audio files to create a ringtone, caller tone, alarm tones and even Karaoke on the go without any high-end setup. Just take out your smartphone and you can cut, copy, paste, join and apply other operations with your audio clips. Go through this list and choose the best app that suits your needs best. Drum Pads 24 is one of the best free audio editing apps for both Android and iPhone users. The best thing about this application is, allowing users to create instrumental songs and music on mobile phone. Using, you can create dubstep beat and music. And you can freely save and share your new created songs with your friends. This great music editing app also allows you to create new and remix songs according to your favorite songs. 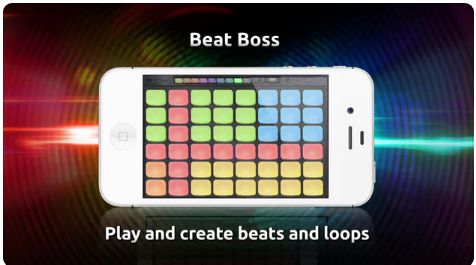 Beat Boss is another great free music editing app that compatible with both Android and iOS devices. With this application, you can create your own music using different sound effects. You can create incredible drum loops, huge bass lines and cut sound fix. It comes with clean and attractive interface, so that users can work freely to edit audio files and enjoy their favorite music. Also, you can get the paid version of this free app and enjoy new features and more sound effects. Music Maker JAM is a great free audio editing app for both Android and iOS users. You can create, share, and discover amazing tracks across a wide variety of genres like EDM, hip hop, dubstep, house, pop, rock and more. 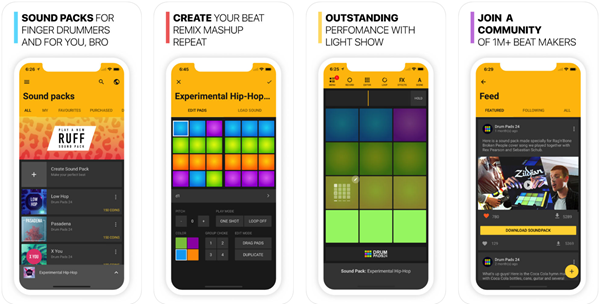 Here you can get thousand of studio quality to help you create your favorite music on your mobile phone. Besides, you can merge different songs, record new audio and share them with your friends, family and even on social media. This application’s interface is very clear and clean, and has 4.6 ratings from 5. MP3 Cutter is another great free music editing app that you can use on both iOS and Android device. With this amazing audio editor, you can create free alarm tone, ringtone as per your taste. It allows you to record voice, edit music from library. And you can get additional feature mixing up 2 or more songs and create new music. Also you can save and share the edited music with your friends. 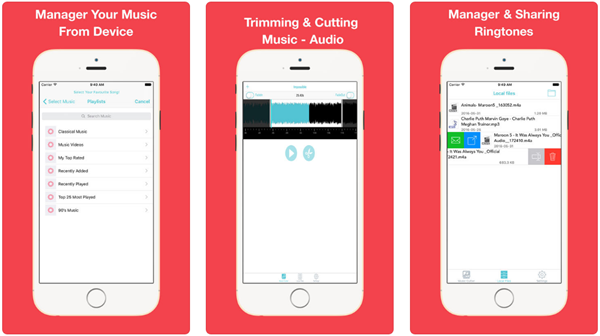 WavePad Audio Editor is a great free music editor app for both iPhone and Android devices. It has amazing sound effects which makes music editing more bombastic. In this application, you can record voice or music, edit existing audio files, merge different songs, make remix of music, and much more. Also you can add up some additional sound effects like high pitching, echo, noise reduction, etc. The app comes with simple interface which makes it working fast and smooth without any disturbance. 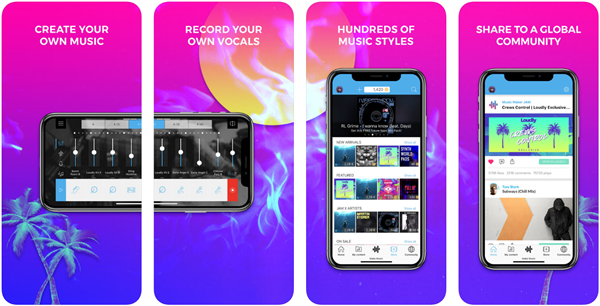 These all are the top 5 rated audio editor applications for your iPhone and Android smartphones through which you can simply edit your music files easily. Here you can get option to choose the best one for your music editing needs. Pick your choice according to your needs and let us know about choice in comment section. If you have any doubts regarding these applications, just comment down and we will short out your doubts.